This farm has applied for National Organic Blueberry Farm Certification! It has been more than 10 years that anything non-organic has been on this farm!!! And interestingly, Blueberries don’t need anything – no sprays, no dustings, no nothing. Birds are the only issue for blueberries — and all the netting goes with the farm. 92 acre Organic Blueberry Farm for sale. just $5314/mo. – payment based on 15% down, 3.75% interest, 30 year mortgage. based on $1,350,000 purchase price. Triple Creek Farm~ 92 gently rolling acres through fields of blueberry and Blackberry bushes you’ll encounter an impressive Luxury Estate Home. Organic Blueberry Farm Estate home on 92 acres for sale. Inside the 20′ grand foyer your eyes are drawn to the spiral staircase. A library & Formal DR flank you as you pass to the LR with its wall of glass doors and arched windows that reveal a budding English Garden. A chef’s kitchen, ergonomically designed with entertainment in mind, features; Custom cabs, 2 islands, 6 burner cook top, 2 Bosch Stainless Dishwashers, Double Ovens, Double Jen-Air fridge, wine cooler, 3 sinks, espresso bar, walk-in pantry, seating area w/FP & Bose sound system. First floor master w/great views and a master bath. 4 Additional BRs upstairs, each with balconies. The spectacular full walkout features; bar, billiards, gym, stone FP, Sony HD theater w/100 inch screen, a 1,000 bottle wine cellar, board of Health compliant production kitchen (set up for cheese making), full bath & more. SIMPLY SPECTACULAR! —> You might want to get you in our Exclusive Mailing List, so we can send you your PERFECT homes and land – and farms the second they are for sale (not when they hit the MLS). Everyone wants privacy and seclusion but nobody wants to be removed. Who wants to be 30 minutes to a jug of milk, or a restaurant? So this Organic Blueberry Farm Land is really private — as you can see, this road is not much of a road, it’s just a little country road and we’ve got gates here. I hope I can get in, so I used the right combination to get in, so now I’m in. Hey, who doesn’t want the privacy? But you just don’t wanna be so far away from everything, here you’re literally just two-three minutes to the stores and the hospital and good restaurant, and it’s all an Organic Blueberry farm, 92 acres of Organic Farm Land for Sale, so there’s so many details of this property and I’m not gonna be telling you a whole bunch of stuff on this property cuz there’s so many details you just gotta come in. If you’re interested, you see what the price is, you see the land, it’s absolutely gorgeous, wait until you see the house. It’s special, just come on in. Ken will show you around, we’ll give you a full tour of the place. It’s all paved, the driveway is all paved all the way back. I think it’s like 1,800 feet, I’ll put the details right there. And you’ve got this creek running here, it’s called Triple Creek Farm so there are three creeks obviously coming through, this is one of them. There’s the house. It’s a real entertaining house, if you entertain a lot of guests, this is the place for you. Three car garage on the side then this is the front, here’s where we just came up, this driveway here, then of course you get the circle drive. This farm has, I don’t wanna say fully staffed, but it’s got the farm manager, it’s got farm hands, so you can plug these people right in if you want, it’s all underground power, you see the pad transformer right there, so you can, you’ve got your own people, bring your own people, but don’t be concerned about maintenance, there’s equipment, there’s labour, so all those components are in place. And again, you’ve really gotta come and see this place, it’s really special, too many details for me to even talk about. Let’s go on in to this 92 acre Organic Blueberry Farm for sale. This is a home is owned by double professionals and they travel lots so there’s a lot of travel décor and that sort of thing, obviously this staircase is hand built brought in, I believe it was built in Wisconsin and these are all hand forged iron. They have just had twin babies, so this library which I’ll insert a photograph right here, is absolutely gorgeous as you can see, but it’s full of twin stuff right now. A lot of details in this house. A lot of fireplaces, a lot of sofas and a lot of room. If you have a large family, this place is absolutely spectacular, if you like to entertain again spectacular. So the kitchen is laid out like this, it’s really a cook’s kitchen. It’s laid out with this back cabinet here, and you’ve got a centre island, and then you’ve got this other island back here so you’re really set up to cook here. You’ve got all these pull out drawers, all Electrolux Icon, this is a convection oven and it’s got two Bosch dishwashers. I forgot I want to turn these on, how cool is that? So you’ve got a row of light within the countertop, is the camera picking that up? Oh yeah. Garbage disposal, compactor, and then it’s got this really neat passage, in here, into the dining room, how pretty is that? And it’s actually leaded, stained, leaded glass. I get to photograph a lot of houses, a lot of really way cool houses, but it’s not often I get to photograph a house of this level. So this is really, I mean, the amenities this house has is amazing. And these cabinets were all made by hand, a fellow who actually lives in the town I live in and he does a fantastic job. I’ll show you the laundry room. And we’ve got a bathroom here. And it’s huge, this is an extremely large upright freezer, like the biggest one they make. And you’re gonna love this, if you’re a cook, you’re gonna love this, look at this pantry. This is a pantry nicer than Grandma’s. And even the crown molding in here, and the freezer. All the gardening goes on here at this house, they have organic gardens, and something we really wanted to talk to you about with the organic thing, all the blueberries are organic, it’s been at least 15 years that these people know of, that nothing, nothing, nothing, has been put on these fields, so in order to become certified organic, I’ve been looking it up for another client, and you have to certify that nothing has been put on the fields for 3 years. And to me that’s just not enough but obviously the government thinks it’s enough so I’m good with that. But this place is, I don’t wanna say, more authentic, more genuine, organic and they have applied for their certification, national certification here at this farm, so it’s kind of a really cool thing. So you don’t have to feel iggy about anything being put on the grounds for the gardens or anything like that or the whole farm for that matter, 90 acres. 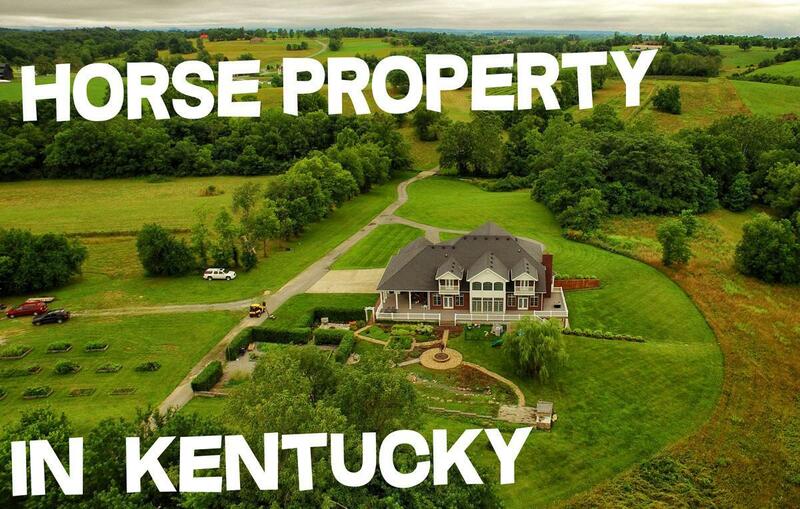 92 acres sorry, 92 acres of Organic Farm Land for Sale – you can use this as Horse Property – with a Blueberry Farm. You know everything is done right, this is the Bose system here, I don’t have to tell you what that is, I can’t remember the number if I have that, I’ll put it right there, it’s like Lifestyle 4200 or something like that. Wanted to show you this, come here, the kitchen is such a highlight here, and I really love this kitchen, so you kind of forget so this is not a fridge and freezer, this is a double fridge, check that rascal out and then a double freezer down there. A coffee station here, a little bar sink, all that stuff costs money, when you build a house like this, a plumber will charge you so much per opening well that’s an opening right there, here’s another opening, it just keeps adding up, adding up, who wants to build anyway. It’s fun, but boy it can be exciting. Sometimes I don’t want that much excitement in my life. Here’s the dining room, very nice French doors. The reason I mentioned about building is, why would you build when you have a house this custom, this gorgeous and ready to go. Everything is really neat, and you’ve got rounded edges here on the sheetrock so it’s kind of nice. That staircase goes up to that landing, and is that just spectacular or what? There are so many things to look at here, architecturally. Powder room here, is that nice or what? Master bedroom, lots of glass, the way we all like to wake up, bright, lots of light streaming in, welcome the day. And that’s a king bed, so you can see the size of this room. The ensuite bathroom is amazing, nothing less than amazing. Solid surface here, solid surface there. Lots of windows. Oh here I wanna show you, his walk-in, lots and lots and lots of space, for all your stuff. And her walk-in is even nicer, as you’d imagine. WC in here, ample room. How nice is this? So you’ve got dressing, make-up, and all that stuff, whatever girls do I have no clue. A guy told me a long time, if you want a happy marriage, have separate bathrooms and there’s a lot of truth to that. It’s kind of a tongue and cheek thing, but there’s a lot of truth to that. I don’t go in my wife’s bathroom, I don’t know what she’s doing, but if you’re a lady, you’re going to know exactly what to do with all this space. Let’s go on upstairs, show you what’s going on up there, then we’ll go downstairs which is very cool, it’s my favourite part. Here this is all leaded as well, wanna show you this. Okay let’s go upstairs. Okay now, this is almost mirrored up here, and the owners can tell you better, but it appears to me that it’s mirrored, so everything on this side, same as this side, so let’s go take a look. Of course it’s all decorated differently. Big home office up here, and how cool is this? Little neat cove. Full bath, so you could have like a Jack and Jill, here’s a bedroom, here’s a bedroom and then two more on the other side, same thing. All these bedrooms have balconies. Of course the house is fully alarmed as well, and this is some kind of a mahogany, or something like that, a wood that would endure all weather without doing anything to it. I’ll put that down here when I know what it is. And this goes around to the other balcony. Okay so that’s one side, and isn’t this neat? If you entertain, you can kind of see what’s going on. The house is on a geothermal heat pump system, and if you’re not familiar with it, call me or google it to find out more about it, it’s pretty amazing so instead of deriving the temperature difference from the air, it goes into wells or ditches, whichever and so it’s pulling out of the Earth which is always a constant 58 degrees, so you’re only heating from 58 to 70 or 75, whatever your temperature is, instead of 0 degrees outside, or 30 degrees outside all the way up to 70, you’re only going from 58 to 70, so that’s really cool, very efficient. Again you get a little bit more involved, and we’ll give you all utilities bills, and all that stuff, but a house this size, 9,000 square feet is remarkably cheap. It’s only a little bit more to heat, and cool this house, full electric than it is to run my house with no heat, and that’s 1,000 square feet, I live in a 1,000 square foot house. So that’s a super, uber efficient way to go. And of course it’s got a couple systems, another balcony. This is a bonus room, how cool is this? So play room, bonus room, whatever you want to call it. It’s as big as a regular bedroom. And then you’ve got storage, this is above the garage. Not real tall, probably only about 5 to 5 ½ feet at the centre, so you couldn’t make that more space, but you’ve got worlds and worlds and worlds of space. So that’s just for storage. Every time you look at this staircase it’s another beautiful line. Okay now down to my favourite part of the house. There’s something for everyone down here, so don’t think oh it’s a man cave, this is not a man cave, this is another entire floor of entertaining, of fun, recreation, people go to the lake on weekends, you don’t have to go to the lake, you’ve got it all right here. You’ve got a fireplace, this is what we call a walk out basement, so this is actually the basement, poured concrete walls, and then you just walk out onto the ground. You’ve got a hot tub right there, here’s the tub, fireplace, entrance for muddy feet, if you’re doing something crazy out there, and you wanna come around the back of the house, if you’re gardening or whatever you just come on right around. So the garden’s right out there, there’s the play gym and then I don’t know if you can see or not there, there’s the pizza oven it’s a wood fired bread oven. And these retaining walls go out wing walls we call them, so this is all poured concrete and you just walk on down here, and right into this mud room. We have sink, washer/ dryer, ditch your muddy clothes and come right in. Alright so, you saw the bar, you saw the big refrigerator, but there’s another one over here. I’ll show it to you right now in fact. So this guy makes cheese, so this is a full on, health department approved, cheese kitchen. So you might want to, make cheese and sell it or you might just want to make cheese for yourself, but it is all health department approved. Just for no other reason, just to make sure everything is done right. Full gym, with this special soft floor, now I want to show you how this is built. This is all studded up, and then it’s got this ISO in between. So this is called open celled ISO, and then there’s the blue stuff up there, and that may be closed cell, I’m not sure, so I can’t say – if I know, I’ll put it right here but that’s a different kind of ISO. And the good thing about this is that it fills up and just like a cooler, right so you put ice in a cooler and nine days later you still got ice, well same thing here. The whole house has got that ISO in it, and its huge expense to do it, but once it’s done it’s amazing. It’s also why it’s so cheap to heat and cool this house. Here are the bowels of the house, right? This is where all the stuff is going on here, you’ve got two complete systems and then another system here, there’s gotta be three systems cuz there’s three pump sets so three complete systems. And then all spray foam anyway, it’s done right. And that’s exactly what makes it so economical to run this house. Alright, so this is the piece de resistance and you’re not gonna be able to see hardly anything with because it’s so dark in here, so the walls are painted a space dark blue, you know like a midnight blue, so it’s very dark in here, so you can see how nice the screen shows up, but this is the home theatre. These are built in paintings on glass, you’ve got the cool lighting, well you can’t see anything, but you’ve got 1,2, 3, 4, 5, 6, 7 or 8 seats and reconfigure it anyway you want to. Yu can maybe put in even more, but you’ve got like a big loungy chair here, and then recliners, double recliners, loveseat recliners. So there’s the projection system, and of course the sound is amazing you know, boom you right out of here. And again you have to come and see all the stuff, and the owners can show you how to operate all this stuff, I don’t know understand it. So this is Triple Creek Farms, an Organic Farm – a Horse Property with Blueberry Farming for income. It is the ultimate entertaining house, family compound, what would you use this place for? You could use it for absolutely anything. You can use it for a retreat, family compound, bringing in the family together, we’re all running in so many different directions anymore, this house is big enough you’ve got five full size bedrooms, you could easily six but if you set it up like a lake house, you could sleep a lot more than that. Six bedrooms, so that’s 12 people, whatever size family and guests you wanted, corporate retreat, this property really has it all. It’s got barns, and sheds and all that farm stuff and again it’s got equipment, talk to Ken, they just dug another big pond, you know it is a working farm. Oh and you’ve got, you got a three bay garage here, so you have an oversize bay and then an extra oversize bay, you could fit a suburban plus and then a short bay here, which would be for a regular size car maybe, a smaller car or they have one of those side-by-side things, like a gator, but I think they call it a razor. Ginormous deck again for entertaining, I’ll show you how things are laid out. A fire pit over there and BBQ. This is what the house looks like from the back, it’s just as pretty from the back as it is from the front, all brick. The waterfall, I don’t know how long it is, I’ll put down here if I know. Fantastic bread wood-fired oven bread and pizza oven. There are actually a lot of signs to this and signs to the opening and the arching and things like that and how it draws and how it does perfect job so you can get that one going. And you can heat this up or you can, we always do the pizza, fire right in there. You get that going for a few hours, and then it’s 800 degrees, and it will hold that temperature for a long time. There they’re riding around on the razor doing farm work. Again everything is in play so you don’t have to start from scratch if you don’t want to, make it yours, do your own thing, but if you don’t want to, you want just a plug and play operation, this is it. Now I’m not much of a gardener, although I really appreciate our gardens, my wife does such a beautiful job, but I can’t tell you what this is, if I find out I’ll let you know, some kind of a hedge, and it gives you like real privacy, raised beds here in the garden. They’re just constantly doing different things there’s more raised beds out there. They raise a lot of their own food, you’ve got Amish and Mennonite communities that are nearby, and you can buy organic pork and beef from them and chicken. They’ll process them for you, so you raise your own food here, you get your own good food, good meat from them, then you’re living a really, really clean food lifestyle. Again we talked about being private, doesn’t get much more private than this, so you gotta go down this hill, and up over the next hill and then the gate is all the way down the road. You make a left and just go a couple hundred feet, to the left again is about a mile or two to the stores, grocery stores, dollar general, hotels, restaurants, hospital, McDonald’s, all that stuff, you make a right and you’re about 6 miles to Danville, and Danville is a college town. So you’re got absolutely everything you need in Danville and it’s just about 45 minutes to Lexington from here. So it’s got this place so this place does truly have everything and the location is fantastic, this is Triple Creek Farm I’m going to end this I the backyard here, cuz this is where you’re going to spend most of your time. Who wouldn’t, look at this, this is amazing. Our phone number is right there, call Ken, ask about Triple Creek, come for a visit, again this is just too complex of property for me to talk to you too much about. You’re going to love your visit here, you’re going to love your trip here, and you’re going to love your tour of this property, for you and your family to start dreaming about owning this. Organic Farm Land for Sale – Horse Property with an Organic Blueberry Farm.